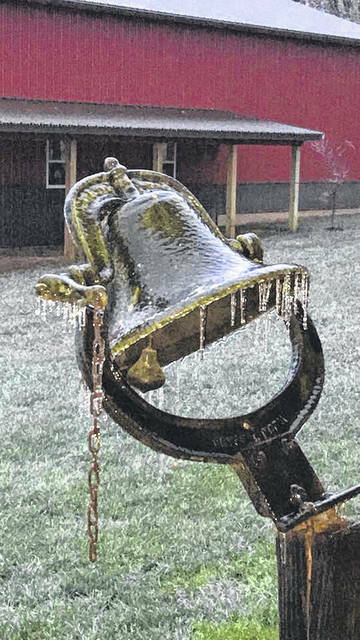 Helen Pratt shared an interesting photo of a bell in Greenfield frozen solid. 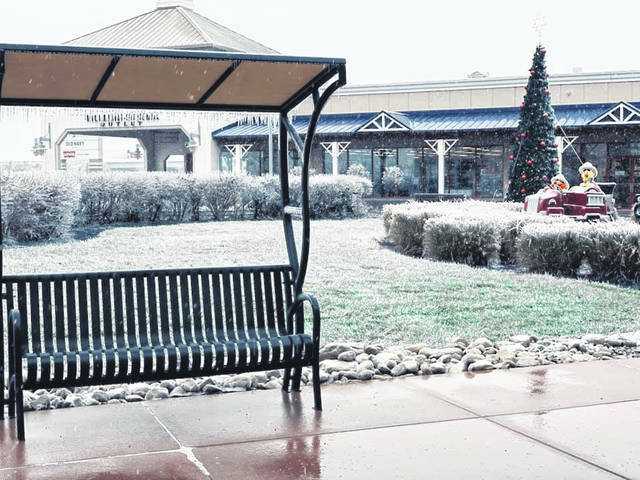 In this photo from Alexis Houck, the ice at Tanger Outlets in Jeffersonville covered everything from trees and benches to store fronts and signs. 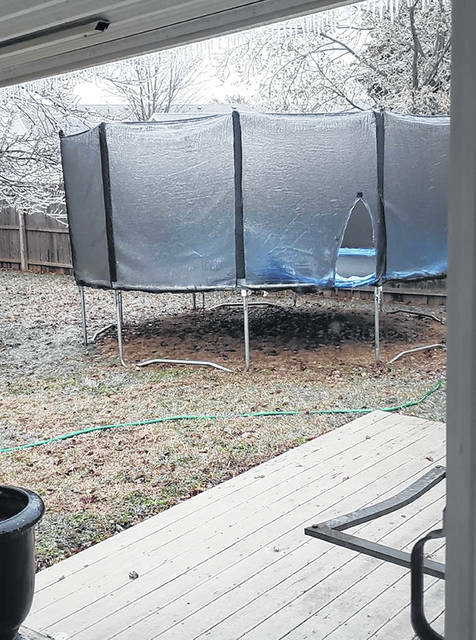 Amber Hollar-White showed off a frozen trampoline in this photo with its netting completely coated. 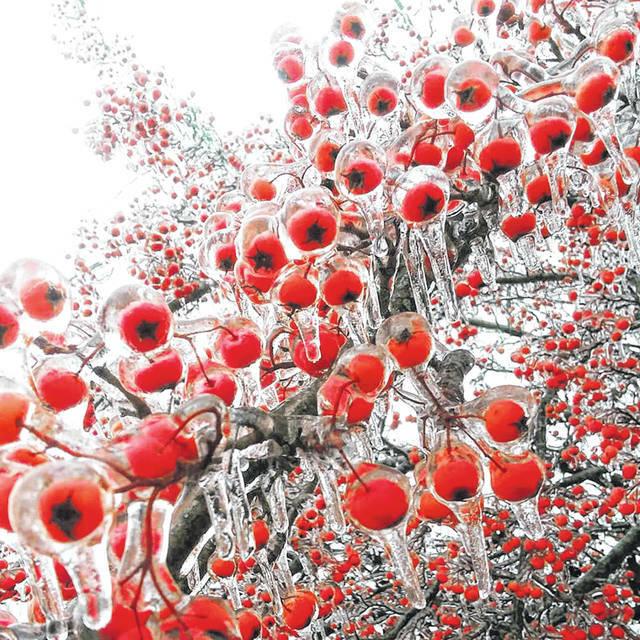 On Thursday the Record-Herald asked for photos of the weather from residents. This photo from Sarah Nichols shows a beautiful frozen sight in front of the Life Pregnancy Center in Washington Court House. Over on North Hinde, a tree fell onto a van from the heavy ice weighing it down. The first round of winter weather struck the county Wednesday night and continued throughout the day Thursday. Unfortunately for some residents this also brought a day of power outages, cautious driving and ice scrapers. Pictured are power lines at Hinde and Paint streets in Washington Court House that were down during the day. 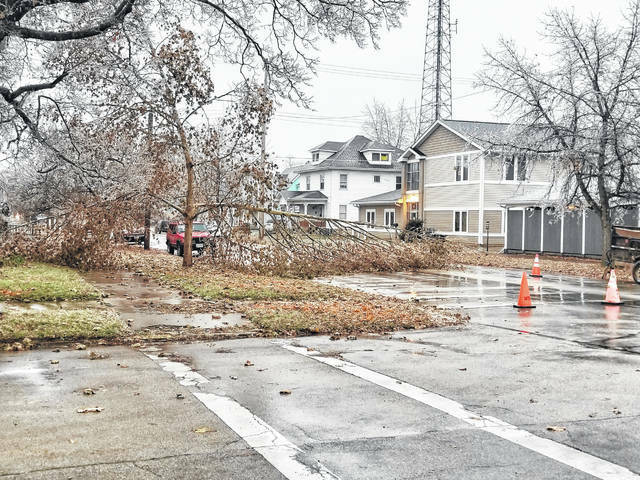 More trees — including this one at Temple and Main in Washington Court House — fell all around the county leaving lots to clean up in the storm’s wake. 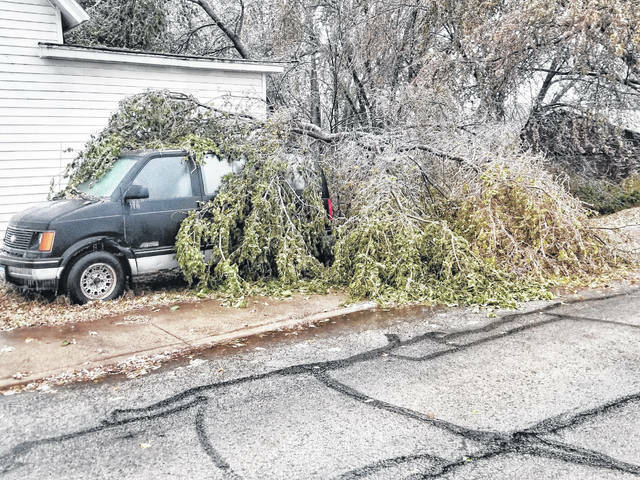 Nearly 600 people in Fayette County were still without power Thursday evening following a wide-spread ice storm that caused havoc throughout the county and surrounding area. 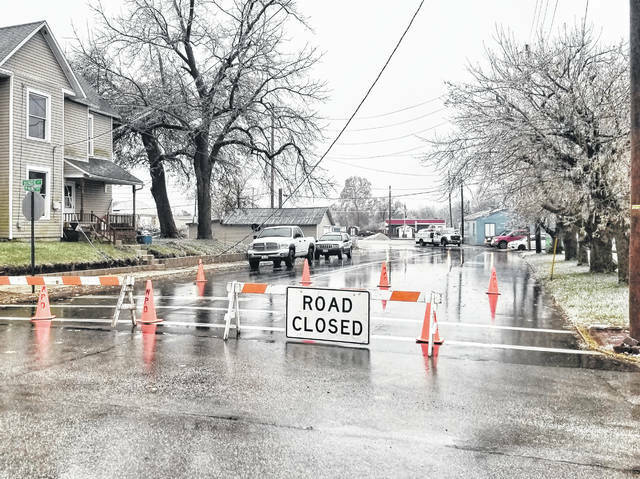 The freezing rain arrived between midnight and 7 a.m., immediately causing automobile slide-offs and accidents, according to Fayette County Sheriff Vernon Stanforth. As the sun came out and the morning progressed, the roads became significantly better. The issues with power outages unfortunately did not as the icy coating broke off tree limbs and dropped electric lines. According to Dayton Power & Light (DP&L), there was a peak of 769 outages in Fayette County. Fayette County Memorial Hospital was without power for a large portion of the day and had to operate with a generator. Washington High School and Middle School cancelled school for students because both schools were without power Thursday morning. Miami Trace Local Schools operated on a two-hour delay. At 5:30 p.m., DP&L posted that crews were out in full force with more than 800 people dedicated to outage restoration efforts. Mutual aid crews were scheduled to come from Indiana and Virginia to assist. In DP&L’s total service area, 75,000 customers were impacted, according to the website. Cabel emphasized that safety is a priority. She said never go near downed power lines, keeps the kids and pets inside, and to watch for trees as the ice and water will continue to weigh them down. Additionally, she encouraged everyone to have a back-up safety plan and to check on elderly neighbors and family to make sure they are doing okay. Martin Graham contributed to this article.